巴尔干半岛民族组成，Atlas Général Vidal-Lablanche, Librairie Armand Colin, Paris, 1898. 1918年中欧及巴尔干地区民族分布图，La Science et la Vie. ^ Entangled Histories of the Balkans: Volume One, Roumen Daskalov, Tchavdar Marinov, BRILL, 2013, ISBN 900425076X, pp. 278-279. 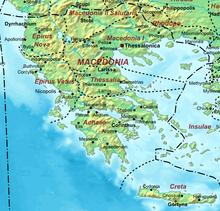 ^ The migrations during the early Byzantine centuries also changed the meaning of the geographical term Macedonia, which seems to have moved to the east together with some of the non-Slavic population of the old Roman province. 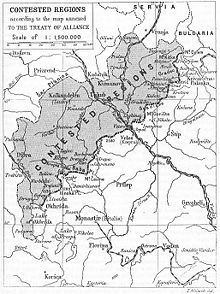 In the early 9th century an administrative unit (theme) of Makedonikon was established in what is now Thrace (split among Bulgaria, Greece, and Turkey) with Adrianopleas its capital. It was the birthplace of Emperor Basil I (867–886), the founder of the so-called Macedonian dinasty in Byzantinum.（在拜占庭早期，数个世纪的移民也改变了“马其顿”一词的意义——它和旧罗马的非斯拉夫民族似乎一起向东搬迁了。在9世纪初，被称作Makedonikon的行政单位（军区）在现在的色雷斯（分属于保加利亚、希腊和土耳其）成立，以哈德良堡为治所。是皇帝巴西尔一世（867 – 886，拜占庭马其顿王朝的创始人）的出生地。） Historical Dictionary of the Republic of Macedonia, Dimitar Bechev, Scarecrow Press, 2009, ISBN 0810862956, p. Iii. ^ By the beginning of the 9th century the theme of Macedonia, with its capital at Adrianople consisted not of Macedonian but of Thracian territories. During the Byzantine period the Macedonia proper corresponded to the themes of Thessalonica and Strymon. The Ottoman administration ignored the name of Macedonia. It was only revived during the Renaisance, when western schoolars rediscovered the ancient Greek geographical terminology.（到了9世纪初，治所在阿德里安堡的马其顿军区并不包括马其顿地区，而是色雷斯地区。拜占庭时期的“马其顿”对应的是帖撒罗尼迦军区和斯特律蒙军区。奥斯曼政权无视了马其顿之名。直到文艺复兴期间，西方学者对古希腊地理的重新发现才使这个词重见天日。） Brill's Companion to Ancient Macedon: Studies in the Archaeology and History of Macedon, 650 BC - 300 AD, Robin J. Fox, Robin Lane Fox, BRILL, 2011, ISBN 9004206507, p. 35. ^ When the barbarian invasions started in the fourth through seventh centuries AD in the Balkans, the remnants of the Hellenes who lived in Macedonia were pushed to eastern Thrace, the area between Adrianople (presently the Turkish city of Edirne) and Constantinople. 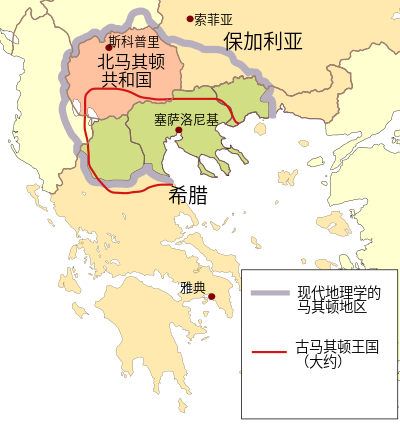 This area would be called theme of Macedonia by the Byzantines... whereas the modern territory of R. of Macedonia was included in the theme of Bulgaria after the destrution of Samuels Bulgarian Empire in 1018.（在公元4至7世纪，蛮族入侵巴尔干地区之际，马其顿的残余希腊人被驱向东色雷斯阿德里安堡（今土耳其埃迪尔内）和君士坦丁堡之间的区域。这个区域后来被拜占庭称为马其顿军区……而现在马其顿共和国的领土在当时属于保加利亚军区（1018年，塞缪尔的保加利亚帝国灭亡后建立）。） Contested Ethnic Identity: The Case of Macedonian Immigrants in Toronto, 1900-1996, Chris Kostov, Peter Lang, 2010, ISBN 3034301960, p. 48. ^ The ancient name 'Macedonia' disappeared during the period of Ottoman rule and was only restored in the nineteenth century originally as geographical term.（“马其顿”这一古老的名字在奥斯曼帝国统治时期消失，直到十九世纪才作为地理名词再度出现。） The Oxford Handbook of the History of Nationalism, John Breuilly, Oxford University Press, 2013, ISBN 0199209197, p. 192. ^ The region was not called "Macedonia" by the Ottomans, and the name "Macedonia" gained currency together with the ascendance of rival nationalism.（奥斯曼帝国并未将该地区称为“马其顿”，而“马其顿”一名也伴随着竞争对手民族主义者的优势流传开来。） Collective Memory, National Identity, and Ethnic Conflict: Greece, Bulgaria, and the Macedonian Question, Victor Roudometof, Greenwood Publishing Group, 2002, ISBN 0275976483, p. 89. ^ "Northwestern Greece is home to an indeterminate number of citizens who speak a Slavic dialect at home, particularly in Florina province. Estimates ranged widely, from under 10,000 to 50,000. A small number identified themselves as belonging to a distinct ethnic group and asserted their right to "Macedonian" minority status" 2002 U.S. Country Reports on Human Rights Practices – Greece. 31 March 2003. ^ Mccann, Matt. The New York Times – Breaking News, World News & Multimedia. International Herald Tribune. [7 February 2013]. ^ Macedonian News: Macedonia’s Former PM Ljubco Georgievski Received Bulgarian Citizenship (REVIEW). Vmacedonianews.com. 16 July 2006 [7 February 2013]. ^ Wood, Nicholas. For Dream Jobs in Europe, the Line Forms in Bulgaria. The New York Times. 23 July 2006 [5 April 2010]. ^ byRene Beekman. 60 000 MACEDONIANS WAIT FOR BULGARIAN CITIZENSHIP – AMBASSADOR – Bulgaria. The Sofia Echo. 17 December 2007 [7 February 2013]. ^ A.C. Renfrew, The autonomy of the south-east European Copper Age, Proceedings of the Prehistoric Society 35 1969: 12–47. ^ Thucydides. The Peloponnesian War,2.99. ^ Borza, Eugene N. In the Shadow of Olympus: the Emergence of Macedon. Princeton, New Jersey: Princeton University Press, 1990, ISBN 0-691-00880-9, p. 65. "There is no record of conflict between the Bryges and the local population; they are described as synoikoi ("fellow inhabitant" or neighbors) of the Macedonians." 本條目出自公有领域： Chisholm, Hugh (编). Andriscus. 大英百科全書 1 第十一版. 劍橋大學出版社. 1911年. 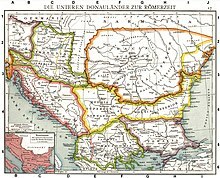 ^ Maps and Politics: A Review of the Ethnographic Cartography of Macedonia, (Liverpool Studies in Geography), Henry Robert Wilkson, University Press, 1951, pp. 73-74. ^ Floudas, Demetrius Andreas; A Name for a Conflict or a Conflict for a Name? An Analysis of Greece's Dispute with FYROM. 24 (1996) Journal of Political and Military Sociology, 285. 1996 [11 February 2008]. ^ Republican-controlled federal government: Background Note: Macedonia. [8 September 2007]. See also: Democratic-controlled Congress uses the designation "Republic of Macedonia (FYROM)": NATO NATO Freedom Consolidation Act of 2007 (Enrolled as Agreed to or Passed by Both House and Senate). [12 June 2007]. ^ People's daily. China, Macedonia Sign Joint Communique on Normalization of Relations. [2 January 2007]. ^ PM Gruevski signs Yeltsin book of condolence. [20 September 2007]. （原始内容存档于20 October 2007）. ^ Pardon? A Name for a Conflict? FYROM's Dispute with Greece Revisited (PDF). in: Kourvetaris et al. (eds. ), The New Balkans, East European Monographs: Columbia University Press, 2002, p. 85. ^ John Pike. Albania, Croatia, Macedonia Qualify for NATO Membership, U.S. Official Says. Globalsecurity.org. 21 February 2008 [7 February 2013]. ^ M3 Web – http://m3web.bg. Bulgaria: Macedonia Remains Out of NATO Because of Greek Veto over Name Dispute – Novinite.com – Sofia News Agency. Novinite.com. 3 April 2008 [7 February 2013]. ^ Macedonia sues Greece for blocking NATO entry. FRANCE 24. 17 November 2008 [7 February 2013]. ^ All Balkans Home. Balkan Insight. 21 January 2011 [7 February 2013]. ^ Poulton, Hugh (2000). Who are the Macedonians?. C. Hurst and co. Publishers, p.148. ISBN 1-85065-534-0. ^ Poulton, Hugh (2000). Who are the Macedonians?. C. Hurst and co. Publishers, p.107. ISBN 1-85065-534-0. ^ The Sofia Echo: 82 000 Foreigners apply for Bulgarian citizenship. 16 October 2006 [11 March 2009]. ^ Former Macedonian Prime Minister received a Bulgarian passport. Trud. 16 July 2006 （保加利亚语）. ^ Macedonian Radio Television:PM Gruevski visits Bulgaria, November 2007 互联网档案馆的存檔，存档日期2011-09-29. ^ Macedonian Information Agency:Bulgarian Prime Minister Stanishev visits Macedonia, December 2008 互联网档案馆的存檔，存档日期2011-07-27. ^ Bulgaria's Position Concerning Macedonia Unchanged – Kalfin. The Sofia Echo, 31 July 2006. 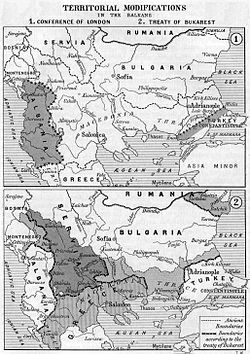 ^ Bulgaria Treaty Proposal Called 'Indecent'. BalkanInsight, 17 March 2010.